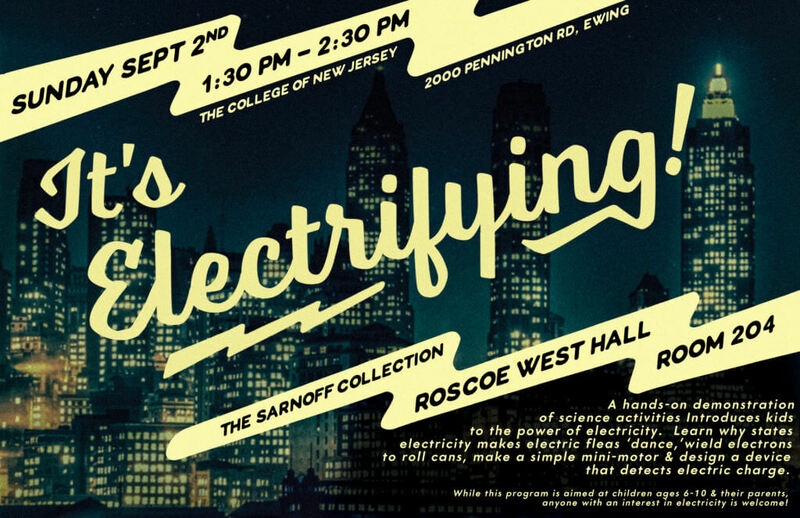 Join us at the Sarnoff for It’s Electrifying!, a hands-on demonstration of the power of electricity. Come to the Sarnoff Collection for a hands-on demonstration of science activities that introduce kids to the power of electricity. Using basic materials and some science, you’ll learn why static electricity makes electric fleas ‘dance,’ wield electrons to roll cans, make a simple mini-motor, and design a device that detects electric charge. While this program is aimed at children ages 6-10 and their parents, anyone with an interest in electricity is welcome.